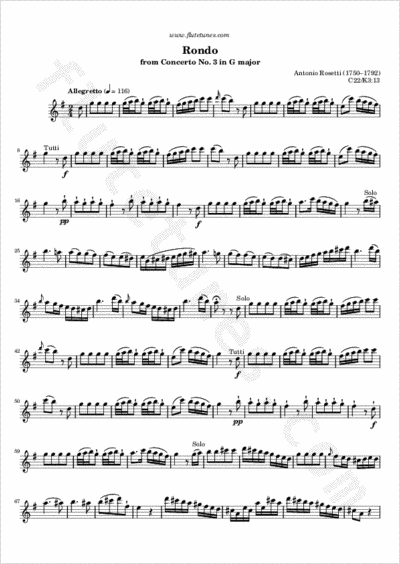 This rondo is the closing movement of a flute concerto in G major by German-Czech Classical composer Antonio Rosetti, first published around 1781. A double-bass player, Rosetti was born Franz Anton Rösler in Litoměřice, a town in Northern Bohemia, but later moved to Germany. He was a contemporary of Haydn and Mozart, and wrote a great deal of instrumental music, including many symphonies and concertos. Thanks to Johann Friedrich for suggesting this piece!